Today I am going to review a site called ezebee.com which is an online selling site for small business network .Its an online platform which connects artisan with consumers and designers. 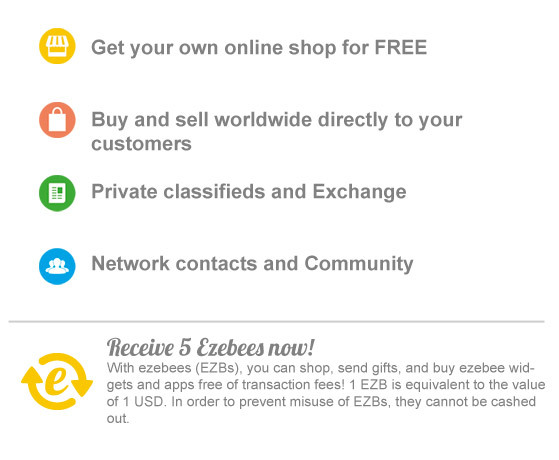 The best part is its free to join and register at ezebee.com and open your own online store or showroom where one can show their products and sell them directly to customers without any middleman involvement . Thus saving lots of money and effort . 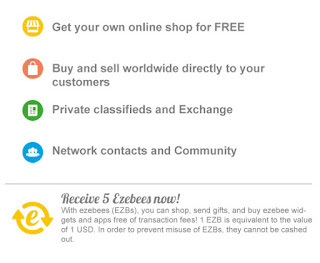 Its free to register or signup at ezebee.com and open your own store and start selling your products to consumers .ezebee does not takes any commission so the seller gets the full price of items without giving any commission to anyone . 2.Gives a chance to promote your small business to a world wide audience . 3.One can sell or buy variety of products world wide , one can also avail services like Web design , IT service ,Event planning , Interior designing and many more . 4.One can shop local , there are City pages where one can find shops in our city near our locality and help to promote those small business and entrepreneur . 6.One can get materials and supplies for DIY crafts and projects . 7.One can buy personalised and unique gifts for their loved ones . 4.Kids products like apparels , woollen wears , toys etc . So the list of product and services is long and one can find variety of products and services . So this site is for anyone and everyone . It can help any one to become an Entrepreneur Without spending a big amount on opening store , giving commissions and taxes etc,and one gets the advantage of having a world wide audience . One can find Unique and beautiful products at ezebee.com which is otherwise difficult to find else where . Become an entrepreneur , have your own online store and make money online .